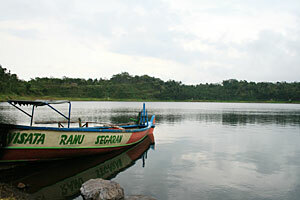 Another beautiful tourism object in Probolinggo is Segaran Lake. This natural lake gives its beautiful impressions for the visitors. The clean and fresh lake with beautiful panorama are ideal for canoeing, fishing, etc. This lake is become one of Probolingo main tourism. There are many visitor who had been visit this lake to enjoy its nature scenery with their family or friends. Segaran Lake is worth visited and give nice impression to the visitors. About 100 meters of Ranu Segaran location, there is a natural hot spring, which surrounded by natural scenery and fresh air. Visit also this hot spring that near to Ranu Segaran tourism and enjoy its natural hot spring with natural environment.